In the beginning human beings created God. Few of us these days has a sence of the 'holy'. And nowadays if anyone speaks of being surrounded by the 'unseen', most of us do not think immediately of spiritual entitities, but of physical ones - of atoms, particles and waves. HOW'S GOD DOING AFTER ALL THESE YEARS? 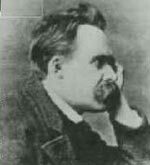 Friedrich (Wilhelm) Nietzsche died in Weimar on August 25, 1900. In 1882 Nietzsche declared that God is dead. But, talking of the death of God implied that He must at some point have existed. If God does exist, He must realise that if your friends have to scrabble around to prove your existence, you may be in trouble. 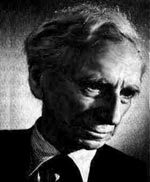 Bertrand Russell - a noted atheist - was asked what he would say if he were suddenly to meet God. Russell replied, 'I would say, "You didn't give us enough evidence"'. There are thinkers, though, who love the fact that the question of God's existence is not subject to proof. For them, the whole point of their religious belief is that LEAP OF FAITH. The Reverend Charles Dodgson - otherwise known as Lewis Carroll, author of 'Alice In Wonderland' - was a professional logician and mathematician. The very fact that his religion fell outside the laws of logic might have been precisely what apealed to him. We suggest that for that Professor of Logic a lapse in logic is a break from logic. And that's its appeal! A British priest during the second World War said, ``You don't find many atheists in a landing-craft heading for Normandy.'' We keep being told that people are losing interest in religion. And yet it isn't just in Muslim and Hindu societies that the existence of God remains largely unquestioned. Their premisses are supposed to derive from reason alone. These are the arguments that fascinate thinkers. ts. Their source is not observation of the world. takes the idea of God as the starting point for demonstrating the existence of God. 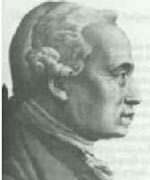 Ontological arguments have fascinated philosophers for almost a thousand years. 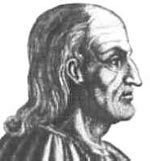 The first, and best-known, ontological argument was proposed by St. Anselm of Canterbury in the 11th. century A.D. In his Proslogion, St. Anselm claims to derive the existence of God from the concept of a being than which no greater can be conceived. St. Anselm reasoned that, if such a being fails to exist, then a greater being -- namely, a being than which no greater can be conceived, and which exists -- can be conceived. But this would be absurd: nothing can be greater than a being than which no greater can be conceived. So a being than which no greater can be conceived -- i.e. God -- exists. (1) By definition, God is a being which has every perfection. (2 ) I conceive of a being than which no greater can be conceived. then I can conceive of a being greater than a being than which no greater can be conceived -- namely, a being than which no greater can be conceived that exists. I cannot conceive of a being greater than a being than which no greater can be conceived. Therefore, a being than which no greater can be conceived exists. (3) It is possible that it is necessary that God exists. Hence, God exists. (4) It is analytic, necessary and a priori that for any F, the FG is F.
Hence, the existent God is existent. (5) The word `God' has a meaning that is revealed in religious experience. The word `God' has a meaning only if God exists. Hence, God exists. Whenever a bunch of things exist, their mereological sum also exists. Therefore the sum of all things exists. Therefore God -- the sum of all things -- exists.